In this article, I will provide my readers with two of the most popular on page SEO techniques named Title Tag and Header Tag. On-page SEO is a part of effective search engine optimization and it is considered as one of the most major facts of SEO. On-page SEO could be easier for those who know web programming a bit. Basically, SEO is of two types. The first one is on page SEO and the second one is off page SEO. On-page SEO means you have to work on the backend of your website. You have to set up the title tags, meta tags, header tags, site map and many other things. Sometimes, the SEO experts are in search of web developers/designers in order to assist them in on page SEO. So besides establish yourself as an SEO expert, you should have to practice a little bit web programming if you would like to improve your skill in on page SEO. Hope you got my point. For on page SEO, the thing you have to consider at first is Title Tags. This is actually considered as the most major and vital portion of your web page. You have to put the keywords in the title tags. But not all of them. At first, you have to research keywords for your website. In order to research the keywords for your website, you can take help from Google Adwords or other types of keyword researching tools online. But Google Adwords is the best. It will show you the monthly search volume for a single keyword. Not only that but also it will suggest you a number of appropriate keywords for the website you have. So I think, if you are an excellent analyzer, then you need not to take help from an SEO expert. Keep one thing in your mind that low competitive keywords with great search volume can easily get ranked in Google. So prefer low competitive keywords than high competitive keywords. However, after researching and finding some keywords for your website, then you have to find the main keyword. After finding the main keyword, then you have to put it into the TITLE TAGS and here actually comes the usage of the title tags. Make sure that you put the main or prime keywords in the title tag. There are some benefits of having the keyword in the title tag. One of the prime benefits is, people can easily find your website if they search Google with your keywords. One more thing is, you have to limit the length of a title tag. Ideally, a title tag should not be more than 70 characters, which means 70 letters (including space). Besides, it will surely have no stop words like a, an, if, then, the, to, etc. Make sure one more thing that, the title tag you’re going to create is also limited to the use of three things. The first one is alphanumeric characters, the second one is commas and the third one is hyphens. Header Tag is the next thing you have to do focus after title tag. Header tags are usually h1, h2, h3, h4, h5 and so on. They are very significant. Similar to the title tag, here you also need to find out the most important keywords and then put it into the header tag. Here is a good read how to write an optimized header tag that brings the most SEO benefit for the site content. A header tag will surely help you to get a good rank in the search engines if you are able to put the right keyword inside it. To sum up, these are the two most popular on page SEO sections where need the attention for optimization. 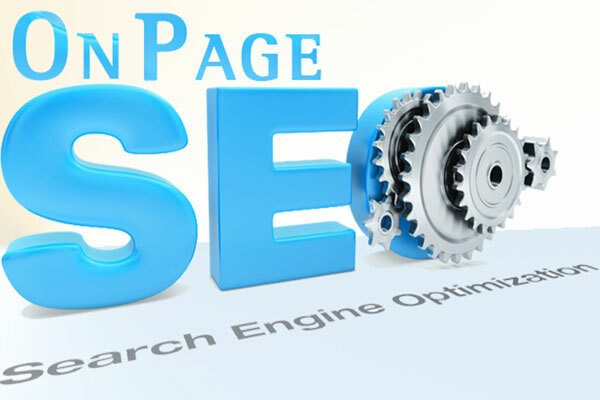 For getting more techniques related to on page SEO, please keep visiting this blog regularly and we will update you with the latest post related to on page SEO. Finally, big thanks for reading this article.